The CRD Board approved the 2019 Salt Spring Island CRD budget at a special meeting on March 20. The CRD budgeting process is comprised of two steps: a provisional budget approved by the CRD Board at the end of the previous calendar year, and a final budget approved in March of the current year, in this case 2019. While the CRD Board has final approval authority for Salt Spring’s provisional and final budgets, they are effectively based on recommendations by the CRD director. The CRD 2019 provisional budget, put forward by former CRD director Wayne McIntyre and virtually all of which I supported, included a requisition of $6.385 million (including the Capital Region Hospital District or CRHD portion), a one per cent increase over 2018. 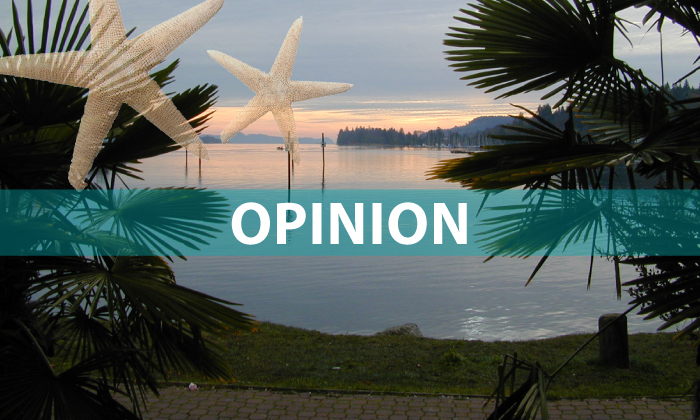 The most significant change in the provisional budget was a requisition decrease of $250,000 for the Salt Spring Transportation Commission resulting from the “sunset” of funding approved by voters in 2014 for the North Ganges Transportation Plan. The large decrease in the SSTC requisition substantially offset other requisition increases, including: approximately $50,000 for a local engineering technician; $30,000 for an auxiliary PARC project coordinator; $30,000 for Salt Spring’s share of increased transit costs; $30,000 for an additional, half-time librarian; $20,000 for the Community Economic Development Commission as Salt Spring’s share of the newly established Gulf Islands Destination Marketing Organization; a $16,000 grant-in-aid budget increase; and CRD wage and salary increases affecting all CRD services. In addition to the above provisional budget changes, based on commitments I made in my election platform, public feedback (including that from my public budget presentation on Jan. 22), and recent events such as winter storms and vandalism in Ganges, I recommended some other requisition additions which have now been approved by the CRD Board, including: a $15,000 additional grant-in-aid increase; $10,000 to re-establish funding to examine the feasibility of possible new CRD services (collapsed by electoral area directors in 2018); $4,000 for Search and Rescue; $7,000 for Salt Spring’s Emergency Program; and $6,000 for CRD bylaw enforcement in our local parks. In total, I recommended an additional requisition increase of about $43,000 over the provisional budget. In addition, there have been some requisition changes at the CRD Board level, which I also support, for example for climate action, affordable housing and First Nations reconciliation. These changes result in a final 2019 requisition on Salt Spring of $6.446 million (again including the CRHD), an increase of 1.8 per cent over 2018. This means a total requisition cost per “average” parcel or household on Salt Spring of $971 in 2019, or about $81 per month. This compares to a Consumer Price Index (CPI) increase of over 2 per cent and an average Salt Spring property assessment increase of 10 per cent (roughly the same as for the CRD as a whole). The above summary includes only the annual property tax costs of CRD services at the regional, sub-regional and Salt Spring levels. It does not include tax requisitions for area-specific services on Salt Spring, such as water and sewage treatment utilities, which totalled approximately $357,000 in 2019. Nor does it include user fees to help recover the costs for area-specific services at the swimming pool, for liquid waste disposal and for Saturday market vendors. The above summary also does not include over $200,000 in annual transfers from the CRD’s Solid Waste Division to support residential recycling on Salt Spring. Also not included are gas tax transfers from the federal government (earmarked primarily for infrastructure spending) of roughly $600,000 per year. It appears that the federal 2019/20 budget substantially increases gas tax transfers for this fiscal year, the details of which are to be confirmed. Part of the annual CRD tax requisition covers the carrying costs on debt for island-wide services such as the swimming pool, library and our Burgoyne Bay liquid waste disposal facility, which together amount to about $580,000 per year. Salt Spring also contributes to the carrying costs of construction cost debt for regional or sub-regional services in which we participate, the most significant of which is about $930,000 annually for our share of the Capital Region Hospital District’s borrowing costs. Over time, debt will be retired, but new investments will also be needed. For example, on Salt Spring, $2.9 million in debt for the Rainbow Road swimming pool will be repaid by 2021, resulting in carrying cost savings of $190,000 per year. However, part of these savings must be diverted to reserves for capital repairs and eventual replacement of this facility. There are also other important investments in public infrastructure, funded by new borrowing (that must be approved by voters) and also by gas tax transfers. I will provide more details on Salt Spring’s debt and capital spending in future reports. A detailed summary of 2019 CRD tax requisitions can be found by searching for “financial plans” on the CRD website (www.crd.bc.ca) or people can contact me with any questions at directorssi@crd.bc.ca.